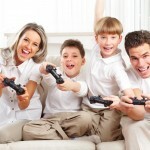 When it comes to technology, adults won’t be able to keep up with their children. It took the radio 38 years to reach 50 million people, but it took 20 for the phone and 13 for the television. In contrast, it took Facebook 3.6 years and Twitter didn’t even need that much time — in fact, it took Google Plus 88 days. Over the last 15 years, digital communication has ushered in more changes than the printing press did in 1570. And the stand-out early adopters in this world are teenagers, whose brains appear to have an extraordinary capacity to adapt to the world around them, according to Dr Jay Giedd, an adolescent brain expert. The term adolescent wasn’t used much until the 1900s and many people refer to teenagers as a modern social invention. However, our brains are now proving otherwise: as a species, our brains are still flexible and adapting during this period. Having a more flexible brain means that other centres of it, such as impulse control and the ability to make long-term decisions, haven’t developed yet — which may also explain why, unlike some of our Neanderthal ancestors, we spend an extended period living under the protection of our parents rather than leaving home at the age of 12 or 13. This also means that the adolescent brain can adapt to new technology, allowing teenagers to keep up with the accelerating pace of digital technology and giving them a multitasking advantage. In the US, teenagers are spending 8.5 hours using computers, mobiles and other devices to learn, interact and play. This jumps to 11.5 if you take into account all of the multi-tasking that goes on, such as talking on the phone while you’re watching TV. Australian teenagers were found to be spending an average of 7 hours, 38 minutes using these devices in 2009. These interactions are now being changed by technology — you could have hundreds of friends, all of whom are real people that you interact with — and scientists aren’t sure whether we’ll be able to develop the same skills using Facebook. Another concern comes from the online content that can be accessed, including violent video games, and how this will affect our responses to violence in real life. Surprisingly, Geid suggests that violence levels in the US are low at the moment, as are the rates of teenage pregnancy and sexual diseases — and this is not what the scientist were expecting. While he doesn’t condone the violent video games, Geid says they could be giving teenagers a safer way to work through the various hormonal impulses that they’re experiencing. It definitely needs more examination, anyway. There is another possible advantage of the growing digital trend: Youtube indicates that teenagers all over the world are watching the same clips and laughing at the same jokes, indicating that they are more global minded than their predecessors. Sharing the same jokes could possibly go a long way to breaking down some of the prejudices out there. They may be obsessed with texting their friends and posting updates on Facebook, but teenagers today are probably going to have access to technology and hence social and educational opportunities that anyone with a less flexible brain might have trouble imagining. However, there is a cut off and by the age of 30, our brains become more set in their ways, making it harder for us to adapt and cope with new technologies. 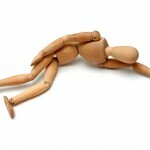 What is an induced coma? Previous Post Beautiful wreckage left by a supernova explosion Next Post How accurate are the weather models that predict thunderstorms?